This video explores the work done with the ‘Squid Group’ and the use of ‘Chosen Family Trees’, which was a practice innovation to find a way to ‘thicken up the roots’ of the Tree of Life for people isolated from lineages of support due to migration, violence and mental health issues. The Squid group is still meeting every month and continues to find ways to re-story what it can mean to utilise lived-experience of mental health concerns to contribute to the lives of others. 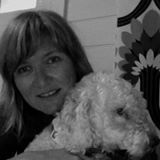 Jennifer Swan works as a mental health social worker in private practice in the Port Adelaide area of Adelaide, South Australia. She began studying and working with narrative ideas in 2009 and has developed a particular interest in co-researching the lived-experience of mental health workers and finding ways for this knowledge to influence and challenge unhelpful ways of working within the mental health field. She has worked with people across the intersections of class, ability, culture, gender and sexuality to examine how the idea’s of ‘worker’ and ‘client’ identities are influenced by privilege and marginalisation using collective narrative practices such as the Tree of Life, Recipes of Life and the Team of Life. If you would like to contact Jennifer please email her at [email protected] or call +61 423 332 969. P.S. Isn’t it weird that I’ve been influenced to construct the idea of growing and selling one’s own produce as somehow ‘divergent’?! It was wonderful to listen to and view your presentation again! Thank you (and your Nainie), and thanks very much to Ag, the Squid Group and to the Aunty who spoke of ‘calling on our Ancestors to heal our spirit’ for sharing these moving stories. Many things resonated for me including the ‘traditions of love and care’ and the stories of ‘significant and successful’ relationships people hold with animals. Today my favourite resonance was hearing about Ag’s chosen family tree that has allowed her to remain connected with ‘Divergent thinking’, especially through punk rock, anarchism and nature. Hearing her words about resisting ‘getting money from conforming’ made me realise what her choice and her divergent family tree had made possible for her, and what it meant to her to continue her ‘divergent’ ways of thinking and being. I think this resonates for me because thanks to my chosen family tree within the narrative (and related) communities, I have been able to make choices to continue to earn an income while at the same time becoming increasingly divergent from ideas of ‘evidence-based practices’ and ‘best practices’ and to move towards more co-researched and community-contributed practices. Thinking about Ag’s story and what has been made possible for me inspires me to think about ways I can pass this on by supporting others to earn an income in divergent or non-conforming ways. I am meeting with a young person at present who receives the Disability Support Pension and who is determined to earn additional income to assist himself and his partner – I will try my best to support his plans to develop a home garden/nursery and sell his own produce.